100% Polyester fabric with dupion neps. 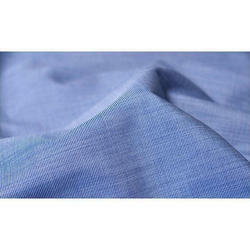 Backed by a team of expert professionals, we have been able to deliver quality assured range of Polyester Dyed Fabrics. These are manufactured using quality tested yarn dyed fabric, which is a synthetic blend of polyester Known for their vibrant colors and captivating patterns like stripes, checks and plain dobby, they are offered at industry leading prices. Being a customer oriented organization, we are deeply engaged in offering a wide array of Glass Tissue Fabric.